INDIANAPOLIS, Ind. — State Sens. Ron Alting (R-Lafayette) and Brandt Hershman (R-Wheatfield) today invited area middle and high school students to make the Indiana Statehouse their “classroom for a day” by serving as Senate pages during the 2010 Indiana General Assembly. “Through Indiana’s valuable page program, students interact firsthand with legislators and meet other students from across the state while learning about the legislative process through observation and participation,” Hershman said. Interested students should submit page requests in a letter or e-mail. The student’s name – as it would appear on a certificate – address, home telephone number, age and school affiliation should be included with the request. Friends wanting to page on the same day should send requests together. Specific date requests will be considered, but may not be possible. The Senate’s page office will confirm the scheduled date after processing incoming requests. This will be a short session of the legislature – running from Tuesday, Jan. 5 to Sunday, March 14 – so days to serve as a page will be limited. Students are urged to send their requests as soon as possible. Students can visit http://www.in.gov/apps/sos/legislator/search/ to determine if they should page for Alting or Hershman. Participating as a page is an excused absence from school. Pages must arrive at the Statehouse by 8:30 a.m. Parents are responsible for transportation and student pages are responsible for their own lunches, which can be economically priced at the Government Center Cafeteria, Circle Centre Mall or one of the many downtown restaurants. For additional information, call 1-800-382-9467. 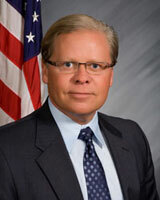 Sen. Alting represents Senate District 22, which includes a portion of Tippecanoe County. Hershman represents Senate District 7, which includes Carroll, Clinton, Howard, Jasper, Tippecanoe and White counties.